During a show, a company can expect visits from hundreds or thousands of people, many of whom may be exactly the kind of customer they’re looking to bring on board. Whether it’s your first-time on the stand or you’re a serial exhibitor, it’s vital to ensure you’re getting the most out of your investment by capturing the data of as many of these potential customers as possible – this is where lead retrieval comes in. Lead retrieval is essentially a way to gather the details of people who visit your stand in order to start a conversation with them about your product or service. Technology has enabled salespeople to advance beyond the traditional pen and paper or business card collection system to make the lead gathering process much more efficient and consistent. Lead retrieval is essentially a way to gather the details of people who visit your stand in order to start a conversation with them about your product or service. Anyone with a stand at a trade show should be looking to maximise the return on their investment (ROI) and ensure that the money they spend on exhibiting is recovered by signing up new business as a direct result. A great way to achieve this is by ensuring the lead capture process is as smooth as possible, so prospective customers receive relevant information from your marketing team without any delay. Events are a big outlay for businesses so it’s important to maximise return on investment. How many people did your salespeople talk to? How many of these individuals went on to become customers? What’s the cost per acquisition for individual trade shows? Are these figures in line with our KPIs and business objectives? 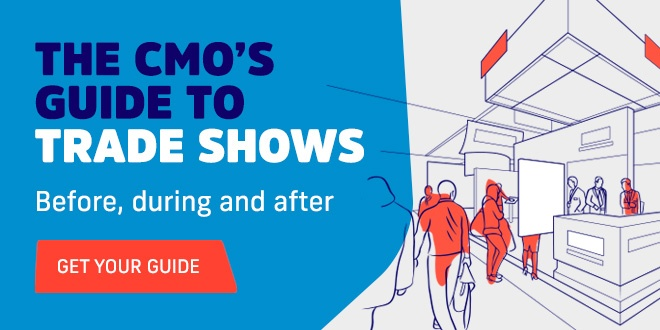 This information can then be used to justify spending on events, as well as establishing whether or not it’s worth exhibiting at certain shows, and optimising your efforts at the ones you choose to attend. Certain lead retrieval technologies will allow your team to add additional information about the prospect when filling in their details on the stand. This provides an opportunity to contextualise the lead, including information about their company, requirements, or a suggested next step. Passing these details onto the marketing team will allow them to provide the most value to the prospect by employing a more personalised and effective approach. Traditional event data capture techniques have involved an entirely manual process of filling in paper forms and passing these to the marketing team to enter into a database. Only once the leads are digitised can follow-up begin, and this can take days or weeks depending on the speed of those involved. Coupling lead retrieval software with your marketing automation solution massively speeds up this process, as potential new customers can be sent over information much faster – even on the same day if required. How many other exhibitors will these people talk to? Follow up before the competition. Using lead retrieval can also have the added benefit of creating a smoother relationship between sales and marketing teams. We know from experience that some companies have struggled with sales teams gathering leads, then passing these over to the marketing team who have the slightly less glamorous job of data entry. Lead retrieval completely negates the need for this manual labour, and more advanced solutions such as Akkroo even allow marketing teams to collaborate with their sales counterparts by requesting edits to the data fields during the event itself. There are a range of different lead retrieval solutions on the market, with varying degrees of functionality. It’s important to find a system that fits in with your business and employees, and this starts with gaining an understanding of the different types of lead retrieval available. Badge scanners are frequently seen at medium or large trade shows, which are available as dedicated devices or smartphone apps. These are a great way of gathering information about each person who’s visited your stand, and their operation is fairly simple – you simply scan the badge of each event attendee you interact with, and you’ll be sent a list of all of these individuals following the event. Whilst badge scanners are a popular and straightforward solution, the amount of information you gather is limited – often just their name, company, and contact details – and you’ll need to wait for the event organiser to send you the file before you can conduct any follow-up. The badge scanner is a popular “upgrade” at events. Whilst it’s up for debate whether OCR (Optical Character Recognition) counts as a specific lead retrieval solution, it’s worth mentioning because it bridges the gap between traditional pen and paper techniques and software. Using OCR to translate handwritten forms into digital information is still fairly prevalent amongst exhibitors, though isn’t without its faults; mistakes or missed characters on the form will translate into their digitally-rendered versions, and even the most advanced OCR technology might struggle if one of your prospects has particularly spidery handwriting! Event lead capture apps like Akkroo are the most advanced and flexible lead retrieval technology available. They can be fully customised to ensure you’re gathering the information that matters to your business, and allow much more useful data to be gathered so your leads are as qualified as possible. Many lead capture apps also connect directly to your CRM application so you can strike while the iron’s hot and begin follow-up straightaway. Akkroo in action – Quick, easy and effective. There isn’t a one size fits all solution when it comes to lead retrieval, and it can be hard to know exactly what functionality you require if you’re relatively new to exhibiting. The team at Akkroo would love to help you work out what would be the most beneficial lead retrieval solution for your business – get in touch and we’ll get right back to you.